On Friday, June 9th, 2017 from 7:30-8:30, join us for a lecture with Heather McCargo, the founder and director of the Wild Seed Project. Happy equinox! Come celebrate these long, sunny days at our farm stand on March 21, where you'll find succulent lamb, delicious pork, and several plump, whole chickens between 5 and 6:30 pm. All meat is frozen. Looking for a truly springtime recipe? Combine our pork chops with syrup from your favorite sugarmaker, and you'll have a dish that won't disappoint! (Cider-Maple Pork Chops with Bitters from Food and Wine Magazine). Welcome our New Market Garden Manager Jane! I am moving from Lovell, Maine, a little town in the Western Foothills where I owned and operated Sweet Roots Farm. We grew veggies, berries, flowers and herbs for sale through our CSA, local farmers' markets and our on-site farmstand. However, I was born and raised in Evanston, Illinois just outside of Chicago. Have you lived in Vermont before? Yes, Vermont has been my home periodically throughout the last 12 years. In 2008, I graduated from Green Mountain College in Poultney. 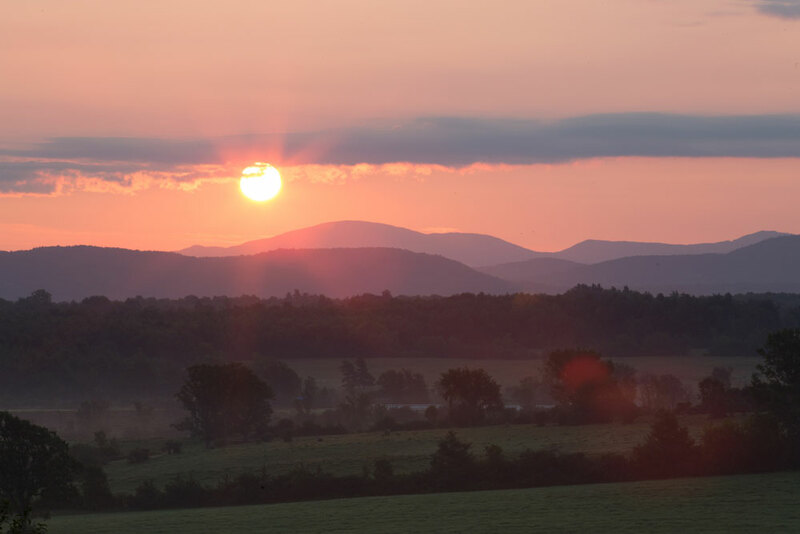 A few years later, I moved back to southern Vermont and eventually to the Montpelier area. 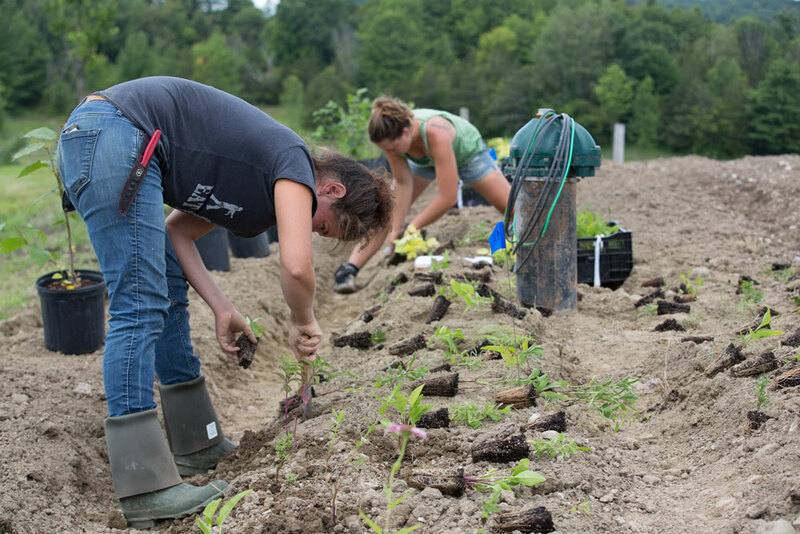 We then started Sweet Roots Farm in Maine but Vermont has always called us back and now we are here to stay! What are you most looking forward to working here? I am excited to join the ever-growing team at Philo Ridge Farm. I look forward to contributing to all of the farm efforts, especially growing delicious and nutritious veggies for this community. While my passion and focus is on the production of vegetables, fruits, herbs and flowers, I cannot wait to spend time with all of the farm's residents- the cows, pigs, sheep, chickens and Aldo, the pup. 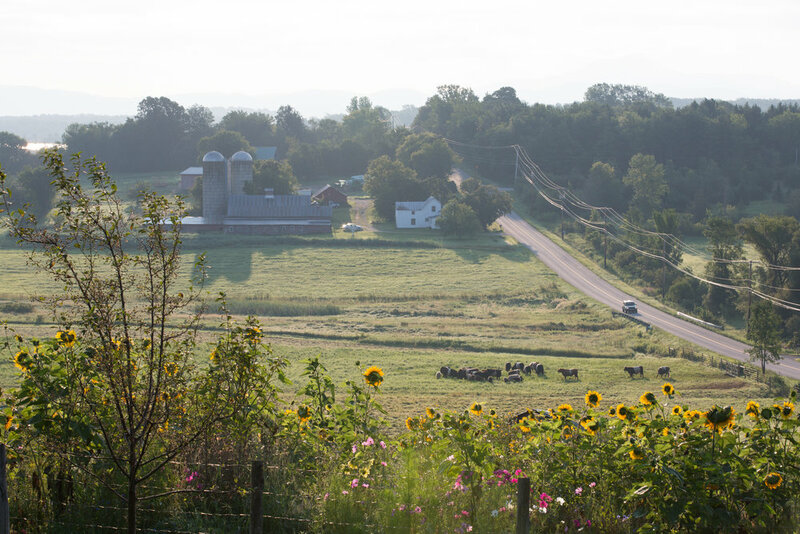 I am overjoyed to be working within this thriving farming community, alongside the incredible staff of Philo Ridge Farm and am inspired by the rich agricultural heritage of this region. What is your favorite vegetable to grow? What is your favorite vegetable to eat? I love growing all vegetables. My absolute favorite vegetable to grow and to eat are cucumbers but cherry tomatoes, peas and all kinds of greens follow quickly behind - what farmer can really choose just one favorite? I also love growing berries and other fruits. There's nothing like a warm, sun-ripened strawberry enjoyed right in the field. Any hobbies or special interests? When not in the field, I love spending time hiking with my dog Daisy, practicing yoga, baking anything with chocolate and traveling the country to visit my family. I also relish in preserving the harvest by making jams, salsas, pickles and other delicious goods we can enjoy throughout the winter - especially after a long day of skiing or snowshoeing, my favorite wintertime activities. Can you share a little bit about your fiancé and pup? My fiancé, Dan, is a native Mainer and true lover of the great outdoors. He is a carpenter by day but spends much of his time snowboarding, white-water guiding, hiking and snuggling with our pup, Daisy. She is a sweet, 2 year-old Bernese Mountain/Golden Retriever mix with plenty of energy and an immense love for all dogs and people. Like her parents, Daisy prefers to spend her days outside enjoying the beautiful landscape we call home.